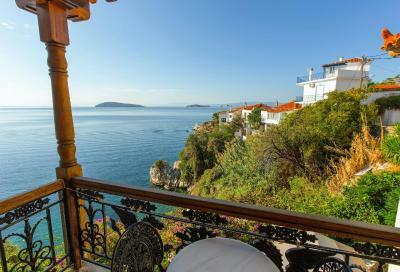 Lock in a great price for Hotel Villa Orsa – rated 8.5 by recent guests! The hotel owner was so friendly and helpful - nothing was too much trouble. The hotel was an easy walk into the town centre and it was lovely to cool off in the pool after a day at the beach. 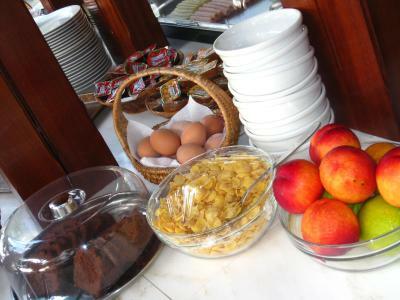 Breakfast was great too - under a lovely shady tree. 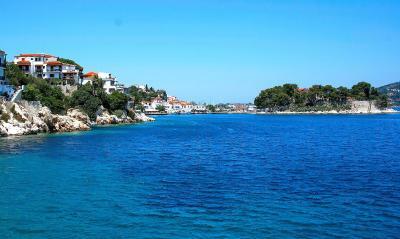 Very easy to walk to/from the port from the ferry and Skiathos Town restaurants. 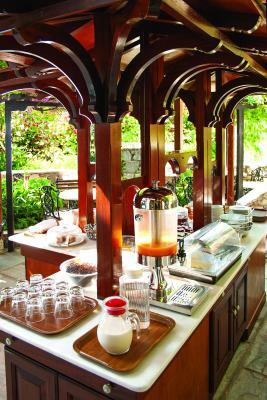 The breakfast terrace was lovely! 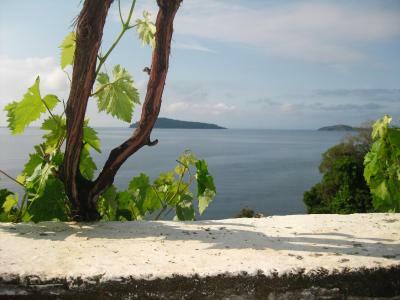 Beautiful view with grape vines and beautiful flowers and greenery everywhere. 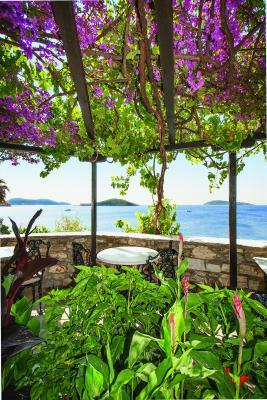 Fantastic view from room and beautiful breakfast terrace. Quiet location. Staff were very helpful. Lovely location although the steps up from the harbour to the hotel were steep. 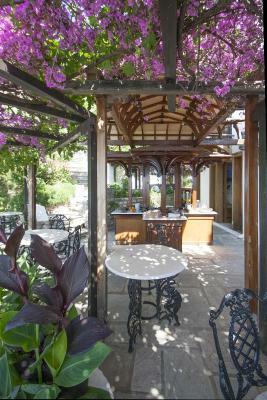 The location was idyllic,overlooking the azure blue sea.Having breakfast in the courtyard with such a stunning view was unforgettable.The staff were very professional and helpful. 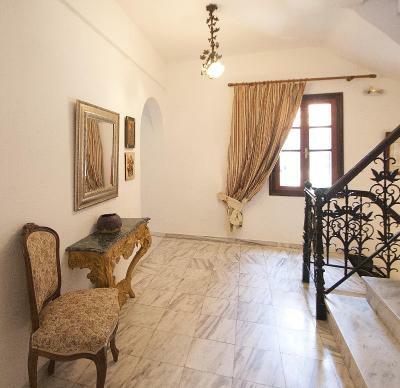 Beautiful property with interesting furniture and pieces throughout. 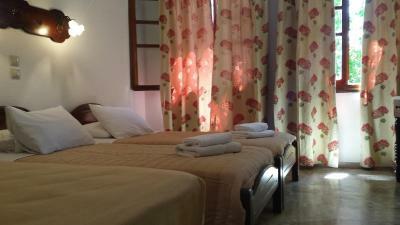 We stayed in a 3rd floor room with a large balcony which was well furnished with chairs table and sunbeds. 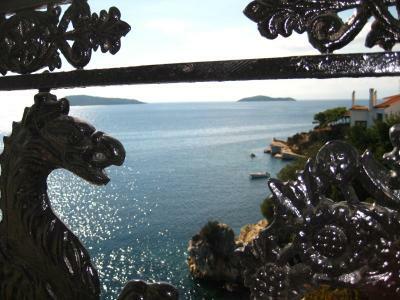 The view from our balcony was stunning. 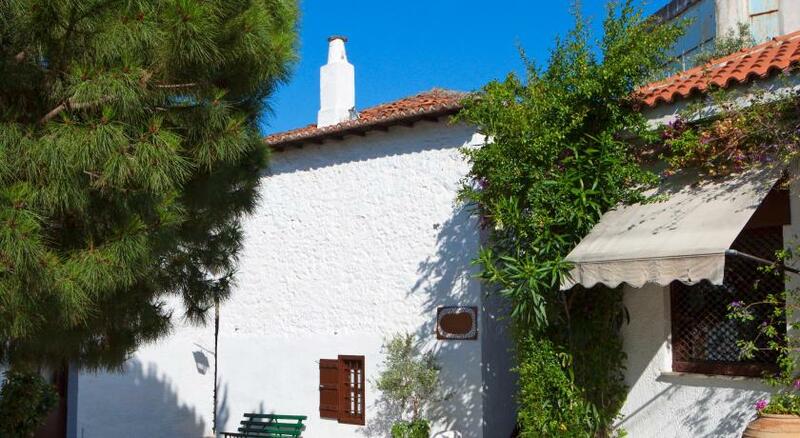 Excellent location, with beautiful views and very quiet. 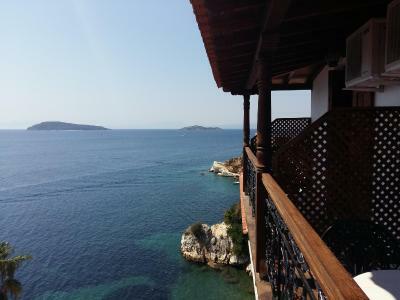 The location and the views from the hotel are stunning and the staff and the owner are lovely people. 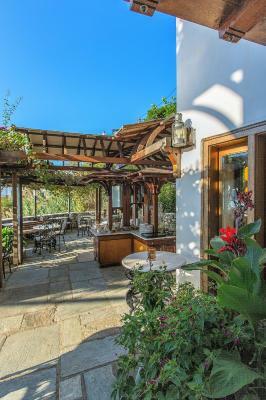 Hotel Villa Orsa This rating is a reflection of how the property compares to the industry standard when it comes to price, facilities and services available. It's based on a self-evaluation by the property. Use this rating to help choose your stay! 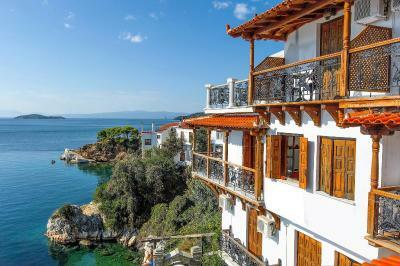 Located on the seafront in Skiathos Old Town, Villa Orsa is a 2-minute walk from the rocky beach of Plakes. 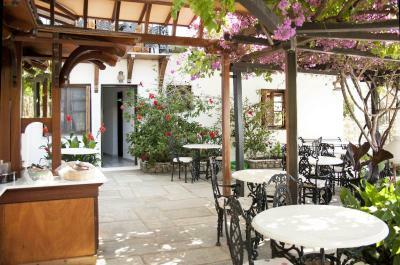 It offers rooms with free WiFi and balcony or patio overlooking the gardens or the Aegean Sea. 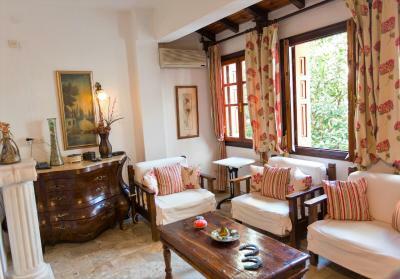 The air-conditioned rooms at the family-run Orsa Villa are equipped with TV and fridge. 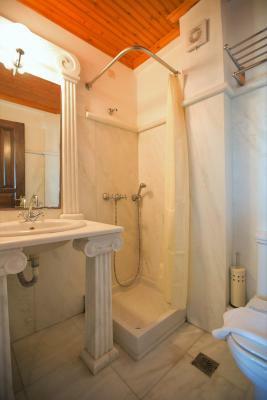 Each has a private bathroom with marble details, toiletries and a hairdryer. 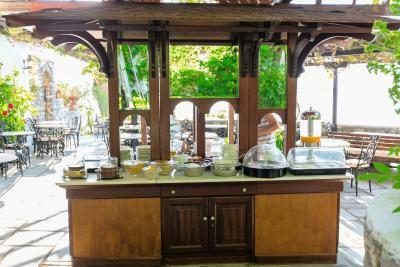 Guests can enjoy a buffet breakfast in the garden with views of the sea, under the bougainvilleas. 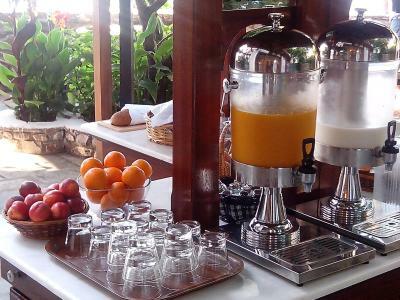 Drinks and coffee can be served on request. 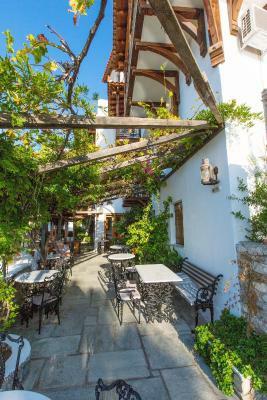 Traditional fish taverns and cafés are a 3-minute walk. 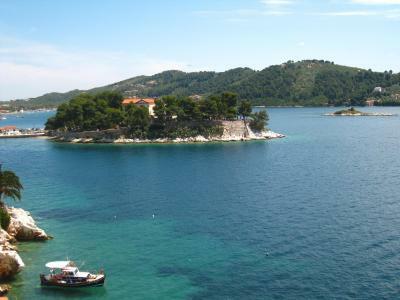 Skiathos International Airport is 1.2 mi away. The famous Koukounaries Beach is within 8.1 mi. Free public parking is available within 1,650 feet. 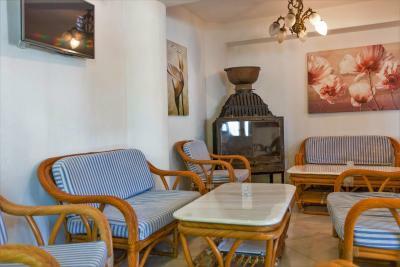 When would you like to stay at Hotel Villa Orsa? Air-conditioned, ground-floor room featuring free Wi-Fi and windows but no balcony. 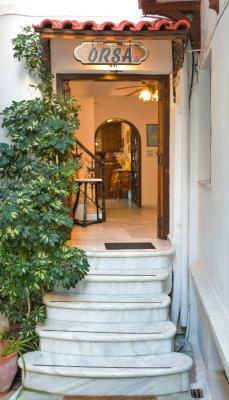 Offers direct garden access. 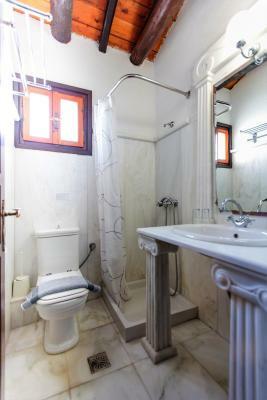 -private bathroom with marble details, toiletries and hairdryer. 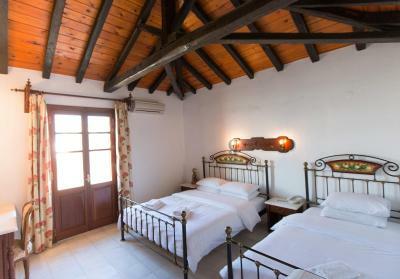 Air-conditioned, 1st or 2nd floor room featuring free WiFi and balcony overlooking the Aegean Sea and the surrounding islands. 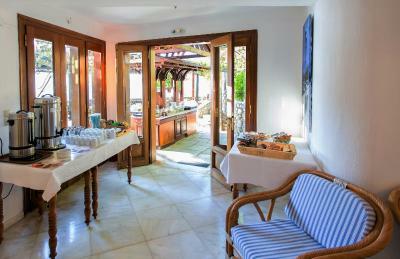 Air-conditioned, top-floor room featuring free Wi-Fi and a terrace with Aegean Sea views. 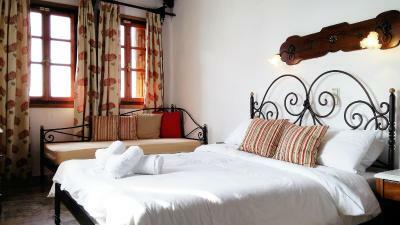 This room type can accommodate 1 extra bed or 1 baby cot. 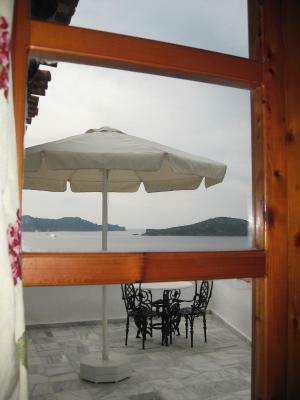 Air-conditioned, 1st-floor room featuring free Wi-Fi and balcony with side, Aegean Sea view. This room can accommodate 1 baby cot but no extra bed. 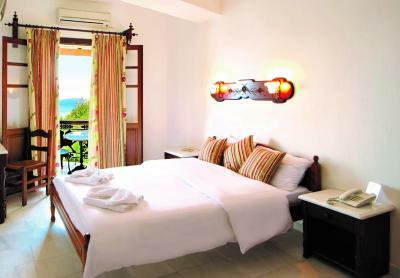 Located on the 1st or 2nd floor, this room offers sea views from the windows. There is no balcony. 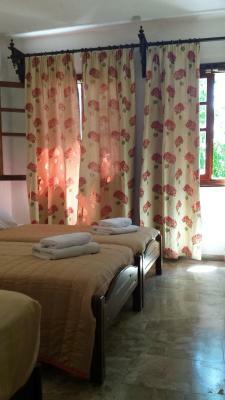 Please note that this room type cannot accommodate an extra bed or a baby cot/crib. 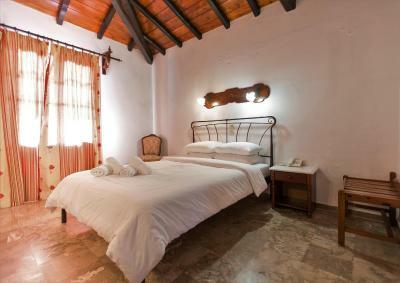 Please note that this room type can accommodate 1 extra bed or 1 baby cot. 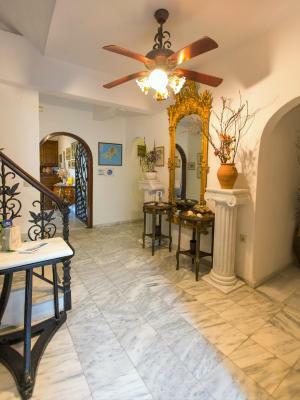 -private bathroom with marble details, free toiletries and a hairdryer. 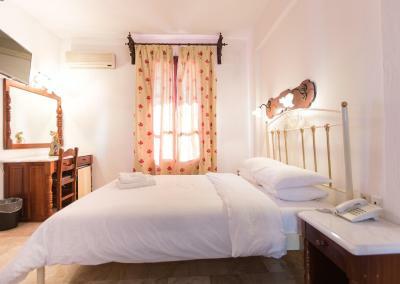 Please note that this room type can accommodate a baby cot, but not an extra bed. 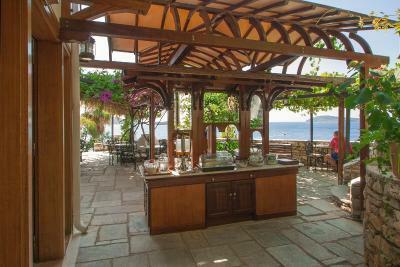 House Rules Hotel Villa Orsa takes special requests – add in the next step! Hotel Villa Orsa accepts these cards and reserves the right to temporarily hold an amount prior to arrival. 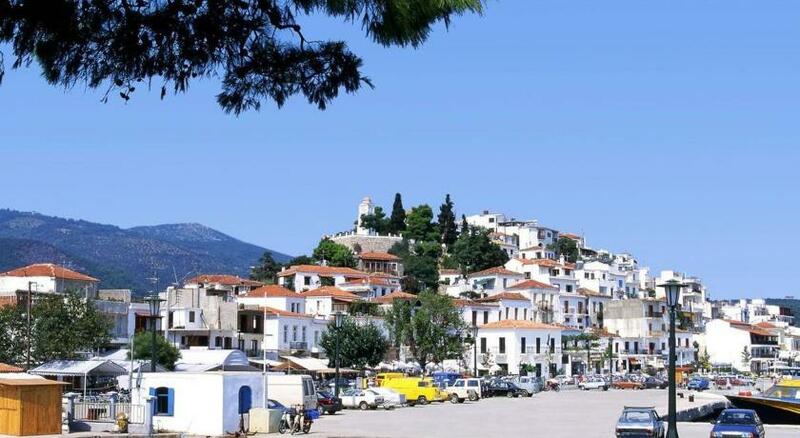 Please note that the area of Plakes in the Old Town of Skiathos is cobbled and inaccessible to cars. The hotel can be reached by bike. 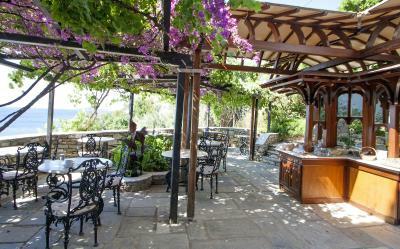 Please note that guests will have to climb many steps in order to reach the hotel and therefore it is not suitable for guests with mobility issues. The first few days the fuit was lovely a soft, but became hard and inedible, so that was a bit disappointing. 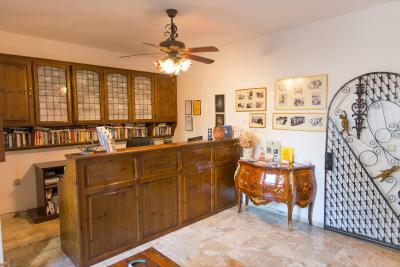 No staff on reception when we arrived. Our room was on the level of the breakfast terrace with guests sitting right outside our windows so we were unable to open the curtains (let alone the windows) in the morning- therefore unable to look at the beautiful views. Beautiful breakfast along with a fabulous view. The front desk was closed on occasion. 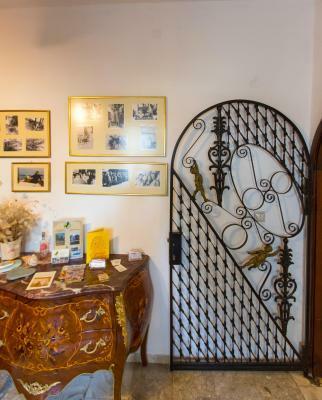 We were not told that if the front door is closed to go to the breakfast terrace side entrance door and use your room key to open this door for access to the rooms. Luckily, we figured it out...only because we had walked around the terrace prior to leaving for dinner. bathroom, no rack to dry towels, almost no hot water, hair dryer did not work. 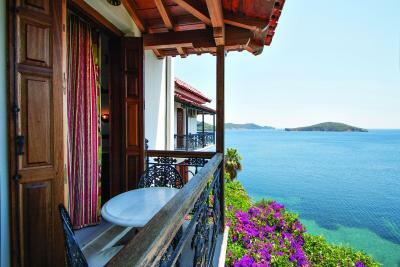 Very expensive and unless you have a sea view with a balcony it is not worth it. Showers need updating. No service or anyone to greet you if you arrive in afternoon or evening. 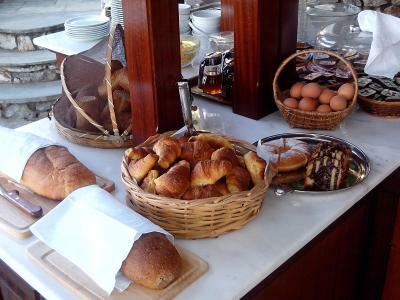 No means to get any refreshments once breakfast service over. Location up many high steps so must be fit in order to carry luggage up. 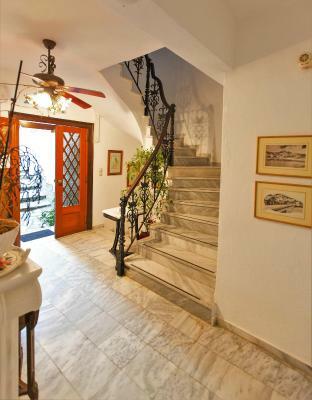 Steps from the harbour. Advise travellers to take minimal luggage it's a way to the point the taxi can drop and pick you up. Streets unsuitable for vehicles. They messed up our booking so we had to take a lesser room on our final night of holiday. Bathrooms and showers too small, the shower curtain sticks to you. Cleaning could be better. In my view this hotel is resting entirely in its location and setting which is a strong selling point. It really depends what your priorities are but cleanliness and customer service costs nothing. Our shower was not the best as it was impossible not to get water all over the floor but in an old building , such problems have to be expected. Nowhere to park, difficult for dropping luggage off and the bathrooms are too small with plastic shower curtains! 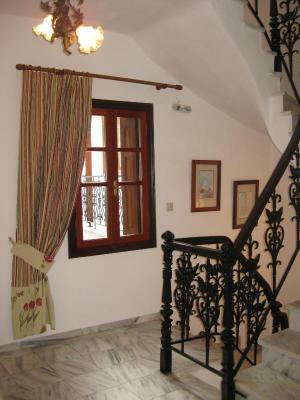 It is not the easiest hotel to get to but that is well docuemnted. 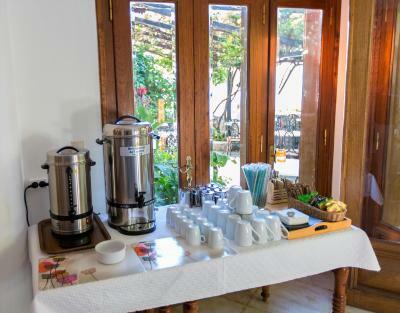 Tea and Coffee facilities in the room would be appreciated - not sure why they do not have them already. Staff needed guidance on heating coffee to an acceptable temperature! The rooms in the hotel are tired and very out of date. The bathroom was particularly outdated and could do with a complete refurbishment.